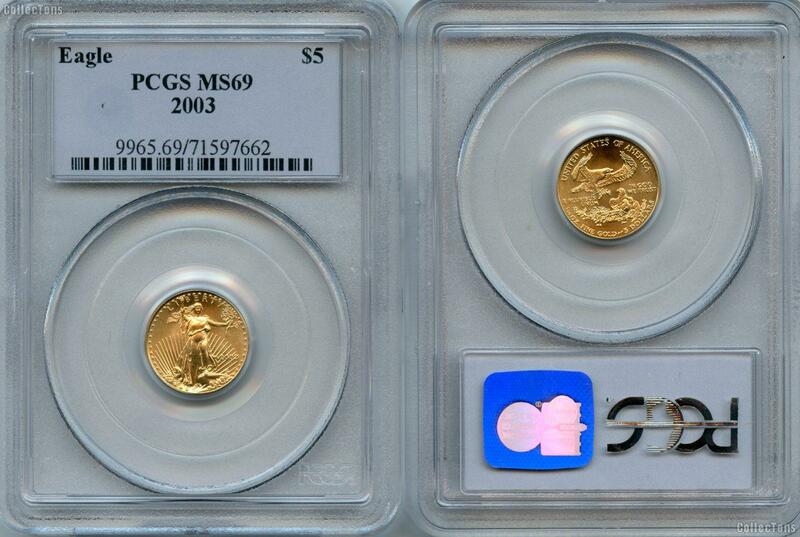 This listing is for a 2003 Gold $5 American Eagle graded and encapsulated as MS-69 by PCGS. This coin contains 1/10th of an ounce of gold. Don't miss your chance to own these gold eagles!